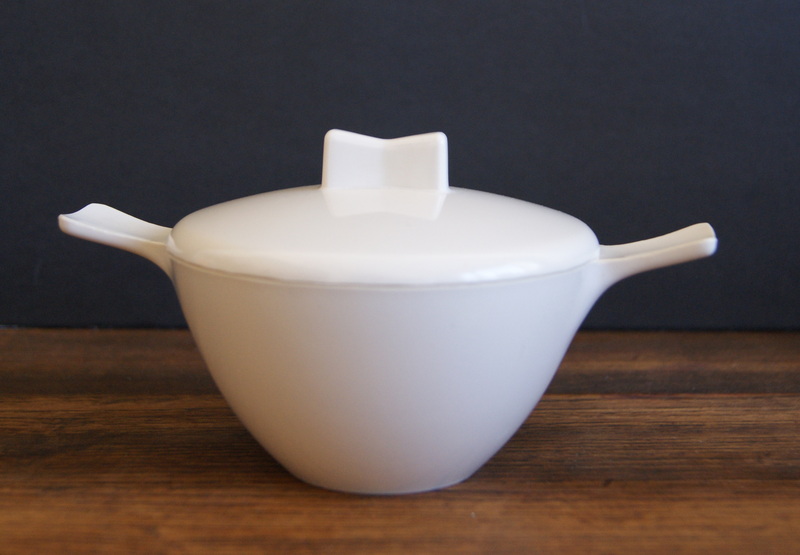 This darling little 1960’s Melmac sugar bowl by Mar-crest was quick to go from our store. The fun retro form and creamy white colour made this an irresistible piece. Love the quirky shape. Previous Article Our very first sale! Next Article I’m blue da ba dee da ba da….